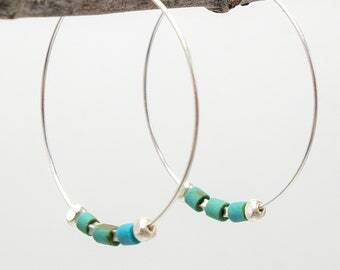 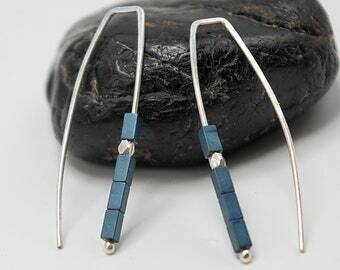 These thin, lightweight hoop earrings have tiny brass and silver seed beads that add texture and color. 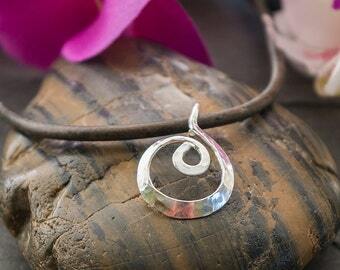 A tiny 14kgf circle charm hangs loosely from each hoop. 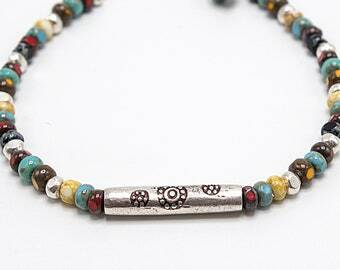 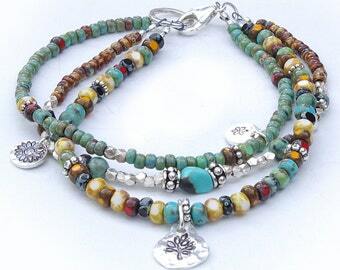 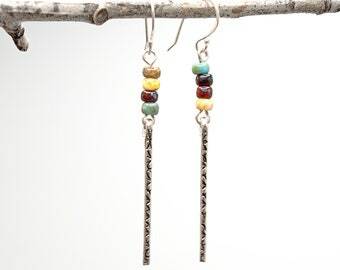 The brass beads are handmade in Ethiopia, adding a nice texture and color. 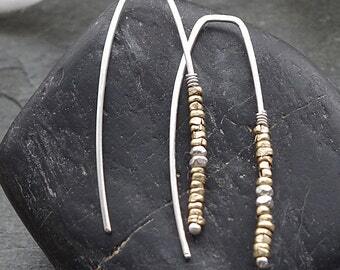 I added two tiny sterling silver beads for a nice mixed metal look. 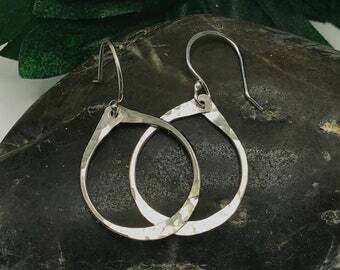 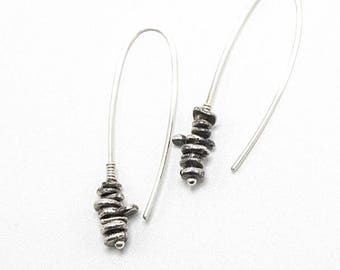 These hoops are made of sterling silver and measure 40mm in diameter (1.5") and are a thin, 21 gauge wire. Each gold disk is 14/20 GF measuring 7mm and is made from 28 gauge metal. 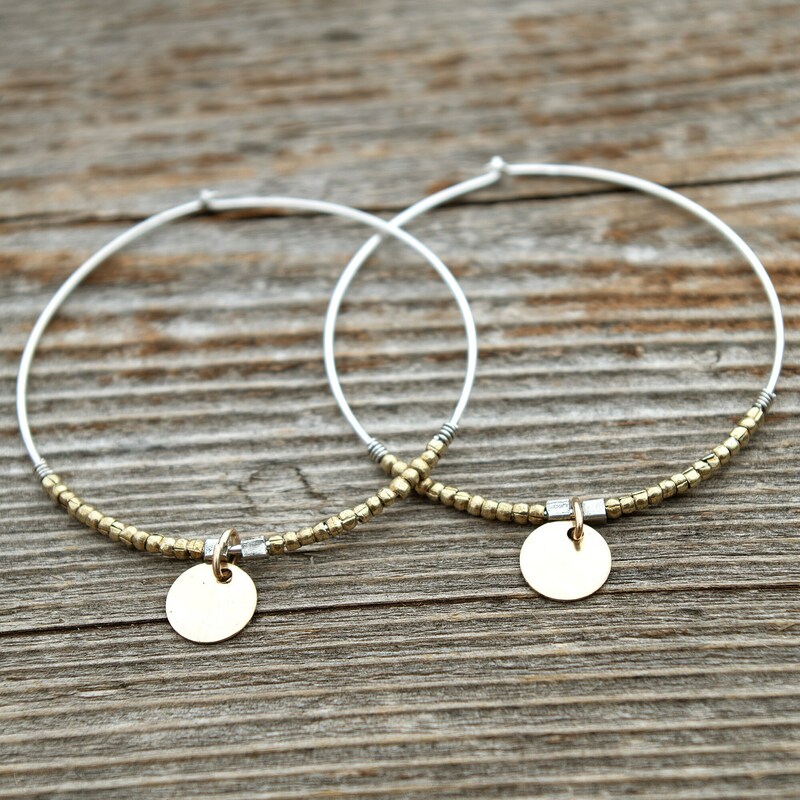 These hoops are super lightweight and great for everyday wear. 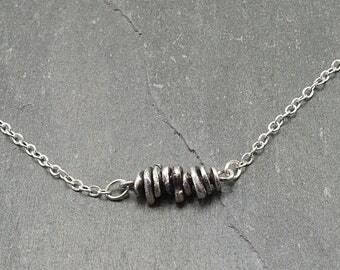 Please send me a convo if you have any questions.